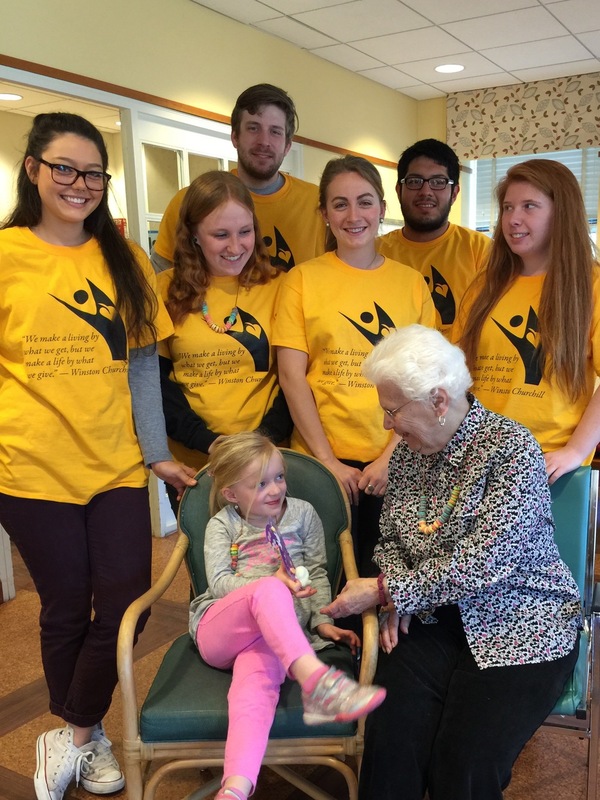 Participants in the 2016 Midtown Fellowship service trip to Boston team up with Lexington resident Lucy Davis, age four, and Youville Place resident Alice Dethomasis on Wednesday, March 9th. The group enjoyed a morning of crafts with families of LexFUN, the “Five and Under Network” in Lexington.On Monday, March 7th, eleven college students arrived at Youville Place in Lexington. While college students are plentiful the Greater Boston area, these idealistic undergrads were anything but typical. They were in fact 900 miles away from their home campus at The University of South Carolina, and participating in an annual service trip organized by their Columbia-based church group, Midtown Fellowship. Every year in early spring, Midtown Fellowship sends hundreds of college-aged congregants to different cities, where they engage in volunteer work with charities and non-profits. This year, the city of choice was Boston. Seeking an elder care organization in the area, the Fellowship had initially contacted Neighbors Who Care (NWC), a volunteer organization that provides companionship to socially isolated seniors, founded in 2003 by Sister Dorothy Cooper, SGM. “We decided it would be best to team up with Youville to maximize the experience for the students,” said Nancy Mulvihill, current President and CEO of NWC. 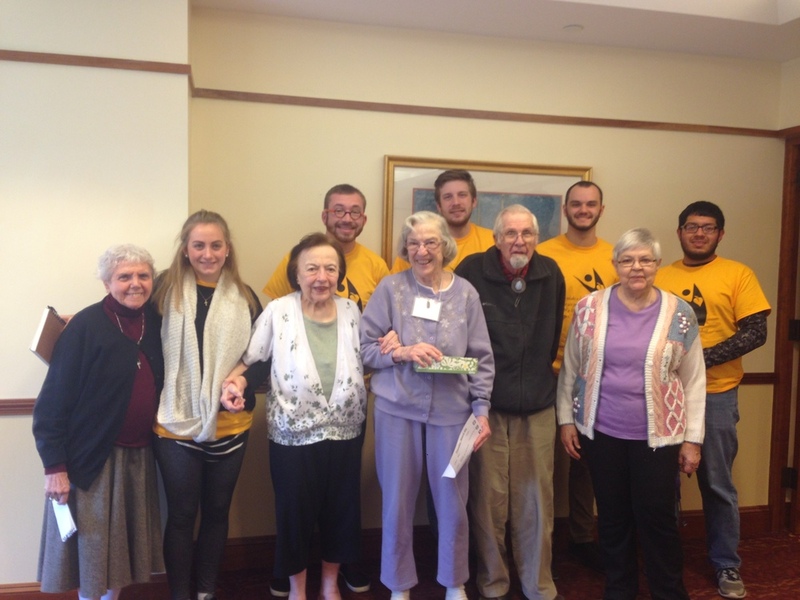 Bringing Youville into the picture gave the students a central location and the opportunity to interact with many residents, both in Youville’s traditional assisted living community and on The Courtyard, their memory support community. As part of their first-day orientation, the students attended a “story-catching seminar,” in which they learned techniques for bringing out fully-recalled stories from Youville residents. Bidding farewell to our friends from South Carolina.Over the course of their three days at Youville, the students assisted with programs, shared meals with residents, learned about Alzheimer’s disease and gained perspective on the values-based approach to elder care embodied by both Youville and by Neighbors Who Care.